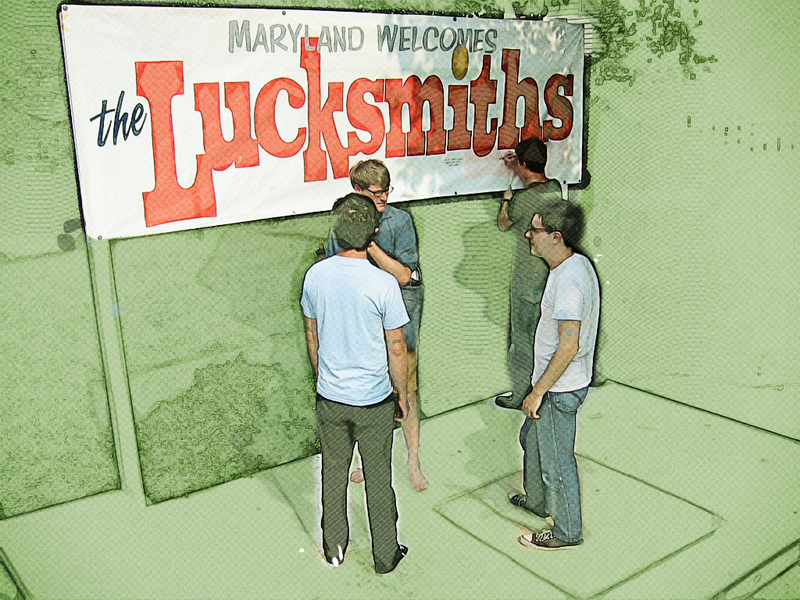 Most of The Lucksmiths songs are written by Marty Donald (guitar) or Tali White (vocals, drums). And for the most part, it’s near impossible to discern who penned what. Both songwriters have a predisposition for the pun, both have a knack for clever word play, and both have the capability to consistently craft a catchy and memorable tune out of… well… ordinary everyday things. Not to be outdone, Mark Monone (bass) typically contributes one or two pop gems of his own to each album, and without fail it’s his songs that I find myself drawn to on first listen. “T-Shirt Weather,” from the album Where Were We? is a perfect example of this phenomenon. It’s also today’s Happy Medium Song of the Day in a continuing tribute to the wonderful music of The Lucksmiths.